I’m not one for returning to the same destination more than once, for me I like to get out there and see as many places as possible. However, there’s just something about Ibiza that has me returning each year since my first trip in 2013. Every year I tell myself it will be the last time, but deep down I know I’ll be back one day (I will literally find any excuse). I’m not sure if I love the music or the people more, but there is just something special about this place. I’ve been lucky enough to visit Ibiza with so many different people and met many friends along the way. No matter what company I’m in, there are always certain things that I just know will happen during our time on the island, so I thought I’d put together a little list. If you have anything to add, drop a comment below! 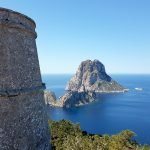 Becoming the tour guide, even before you arrive if you are travelling with friends who have never been to Ibiza or those sitting next to or near you on the flight you will be passing on tips of where to go, what to do, the must not miss activities. 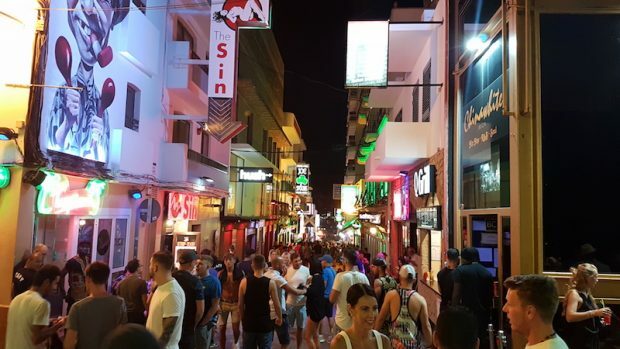 It seems we all want to tell the world how incredible Ibiza is and do it at any given opportunity to the point we keep up with those strangers we met on-board to make sure they went to those must do places on their first Ibiza trip. If you’re in & around San Antonio, you will soon realise that the egg is a landmark for many. 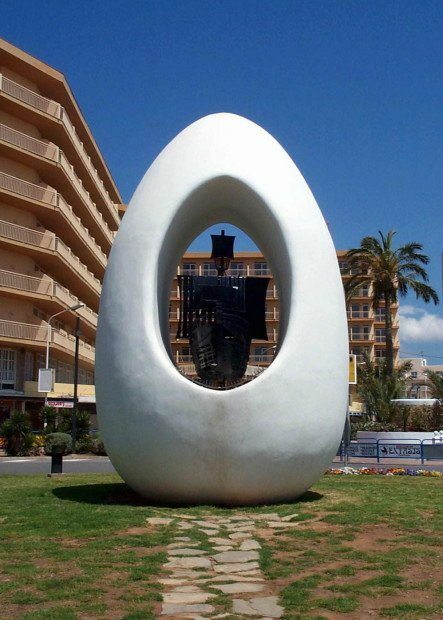 If you’re confused about what exactly ‘the egg’ is, it’s basically a statue on a roundabout. I can almost guarantee you, at least once, the egg will come into directions, so make sure you look out for it! You will ride the disco bus. I really hope during your time in the white isle, you get to ride the disco bus. To be honest, it’s an experience in itself, you are bound to meet some pals for the night on board. 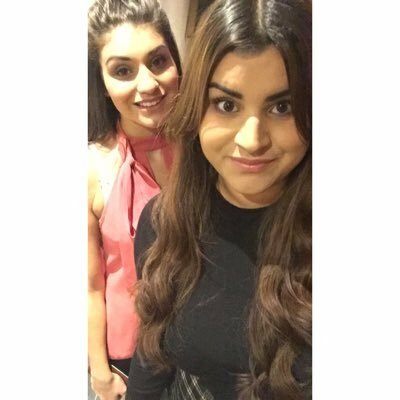 PSA, the return journey, might not be as lively, but also it could be the start of the party for some! During your time on the island, whether it’s on the disco bus or at 3am in your hotel, you will hear some kind of chants. Unfortunately, it’s just one of those unavoidable things (that’s just brits abroad for ya). The worst part is when you’re trying to sleep, and the same chant is just on constant repeat, but of course, it’s all part of the experience! Getting lost in and around Ibiza old town and Dalt Vila. Your first visit to the endless narrow streets of the old town and Dalt Vila will leave you in awe it is truly an amazing place to explore and you will get lost. However, it turns out that every time you visit you will get lost, its part of the true magic of the area every time we visit we find new places, bars, restaurants and always loose so many hours just wandering, enjoying the views and spectacles. If I’m being perfectly honest, I’m not a huge fan of the West End. But, unless you’re made of money, filling your days with beach clubs & boat parties, and nights with super clubs can be a big ask. So, its kind of inevitable that you’ll end up on the West End at some point. A couple of tips of survival for you… 1) Embrace it. 2) If you’re a fan of R&B check out Soul City (I must admit it’s my guilty pleasure). The hours of regret in Burger King, Ibiza Airport. Even though the airport gets better every year, it seems like it’s a rite of passage for hungover brits to congregate in Burger King with faces full of regret scraping together their last few euros for some food before boarding their flight back to sunny England. If they’re not in burger king, they can usually be found scattered over flat surfaces around the airport sleeping off some seriously heavy nights which have just caught up with them. The sheer contrast in the mood between the inbound & outbound flight. I always notice how peaceful the flight home from Ibiza is compared to the flight out. I always find it quite amusing to see the guy that could barely stand when they got off the plane in Ibiza boarding the flight home a shell of their former self. For me, it’s always a bonus to have a nice quiet flight on the way home (unless you’re unlucky like me and have a child kicking your chair for the entire flight after a seriously heavy night at Café Mambo for Bob Sinclair). We all do this we do Ibiza hard, party day after night, spend far too much and on that flight back we promise ourselves that’s it for Ibiza, were too old, we spend too much, we party too hard but inevitably within a few days of being home we just have a sneak peek at the flights just for a night or two away before the summer ends… and so it all starts again. Ibiza is truly addictive. Now I’ve read this post back, I’m not entirely sure If I’m selling Ibiza to first-timers. So, I’ll end with this… Ibiza is amazing, for me, I think the super clubs are worth every single penny… When you’re watching your favourite DJ surrounded by people that are all there for the same reason, it’s a pretty special feeling. 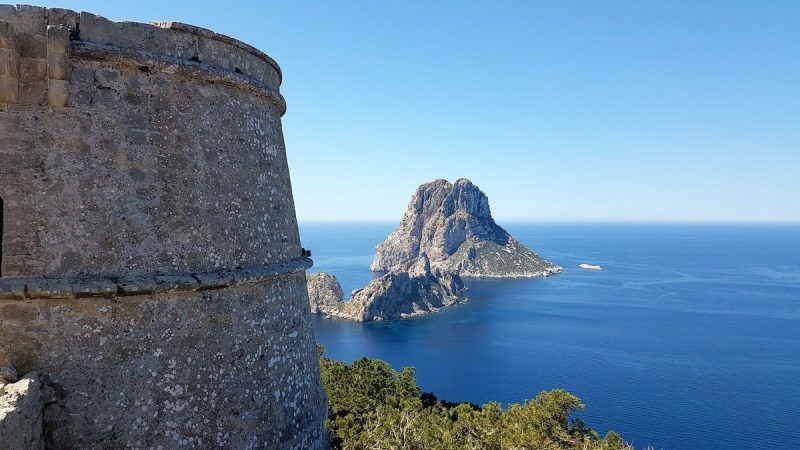 But of course, there’s so much more to the white isle than clubbing & music, so be sure to check out the blog for some serious inspiration for your trip! 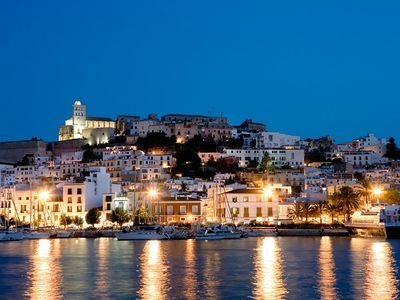 I would genuinely recommend Ibiza for a holiday with your mates, a couples getaway or a family holiday – there really is something to suit everyone on the white isle!